Long before Tibet House was gifted the Menla property, an extensive web of trails allowed guests to experience the serenity and natural splendor of hiking all around our magical forest. With the help of intrepid volunteers over the past several years, we have fully restored most of the old trails on our property, and we are now working on expanding the network of trails to include brand new ones, in addition to doing light maintenance annually to keep the existing trails in good condition.We need your help to do it, and this is a terrific opportunity to experience Menla for very little money and in a way that few people get to experience it! Spend 2-3 days out in the woods, experiencing the healing dimensions of the land, while getting great exercise and enjoying the company of others. With loppers, snips, rakes, our hands, and a chainsaw, you'll be surprised how much we can accomplish in just one weekend! 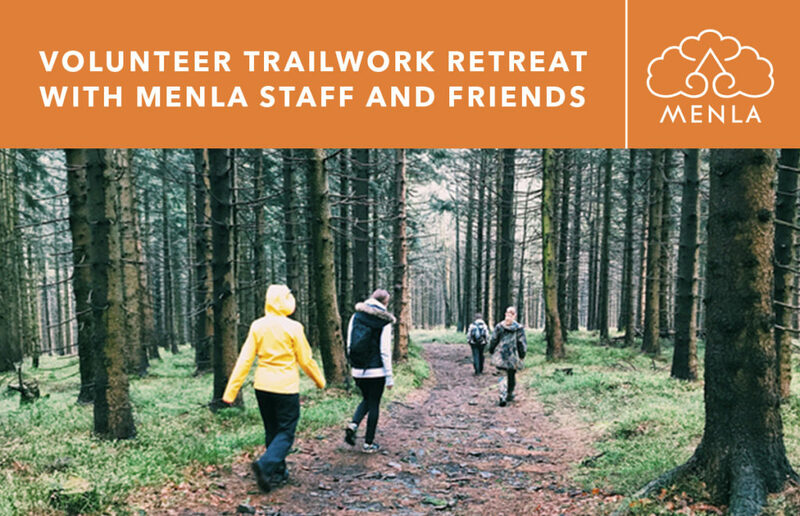 This important work benefits our many guests throughout the year and is very gratifying to be a part of.Join some of the Menla staff for this special May weekend, as we explore our woods and further our trail restoration project.Volunteers for this retreat must be in good enough physical condition to be out on the trails for much of the day. Please dress comfortably and bring adequate footwear.We anticipate good weather, if light rain is expected, we will still proceed with this retreat. However, if heavy rain is expected, we may need to reschedule for a later weekend in May or June.Due to a concurrent group, we have limited housing, so please register as soon as you can!Two Day Weekend Rate: $100 (per person); arrive Friday, depart SundayThree Day Weekend Rate: $150 (per person); arrive Thurs, depart SundayNote: Housing will be assigned by Menla. We may assign you a roommate if you do not register with one.Tibet House US/Menla Mountain Retreat reserves the right to cancel any program at any time for low enrollment or circumstances beyond our control. Should this happen, a full refund will be offered.